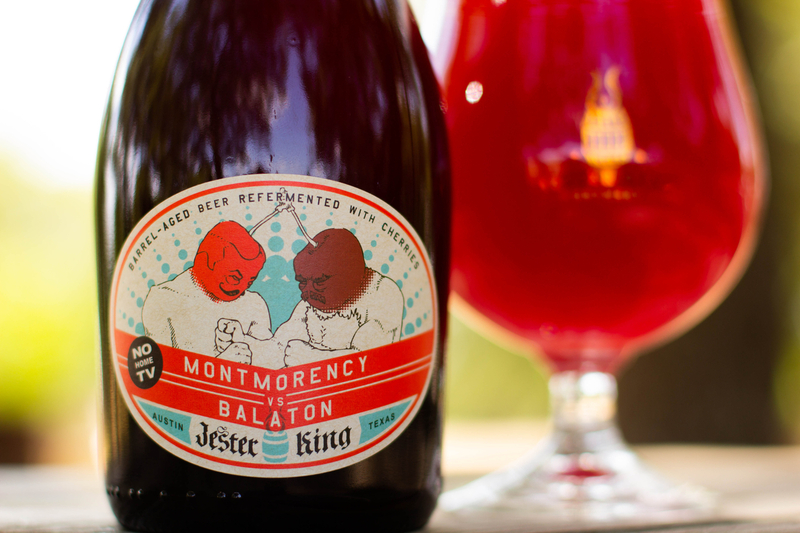 We're very excited to announce that 2018 Montmorency vs. Balaton will be released this Friday, June 15th! 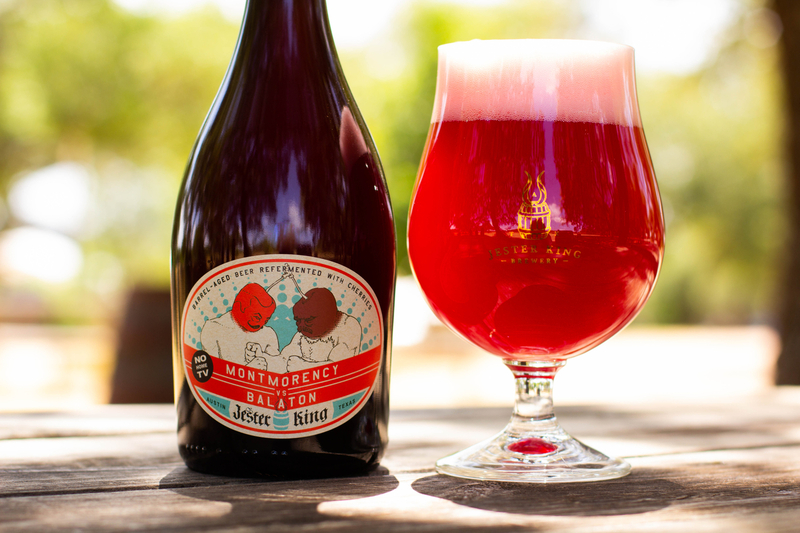 Montmorency vs. Balaton is our barrel-aged sour beer refermented with both Montmorency and Balaton tart cherries from Michigan. This is our fifth ever blend or "bout"! For this year's blend, we took about 960 gallons of mature barrel-aged beer and refermented it with 3,200 pounds of cherries (1,600 pounds each of Montmorency and Balaton) for a ratio of about 3.3 pounds per gallon. The base beer was simple, medium-strength farmhouse ale brewed with Hill Country well water, local grains, fresh hops, and aged hops from our barn. It was fermented with our mixed culture of native yeast and bacteria. After barrel-aging and fruit refermentation, it was naturally conditioned in kegs and bottles. 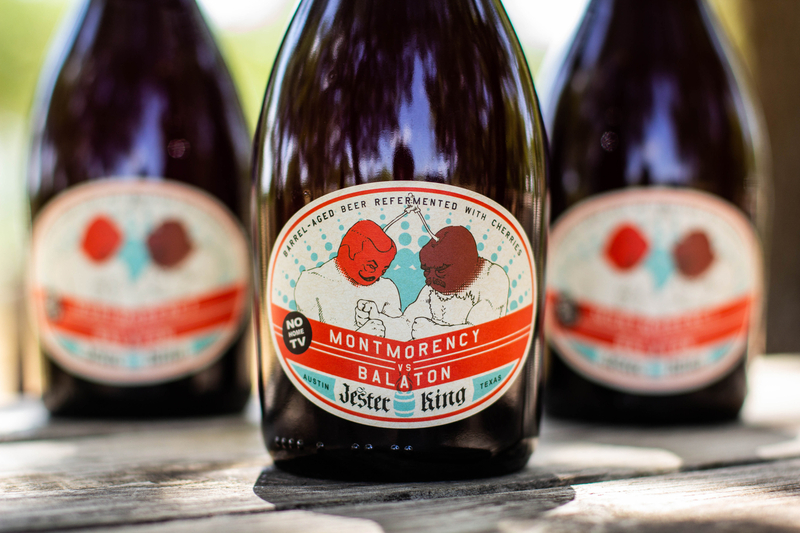 2018 Montmorency vs. Balaton will go on sale when our tasting room opens at 4pm on Friday. It will be available by the glass and in bottles to go. We have 4,300 bottles available (500ml/$20), and the bottle limit is six per customer per day. 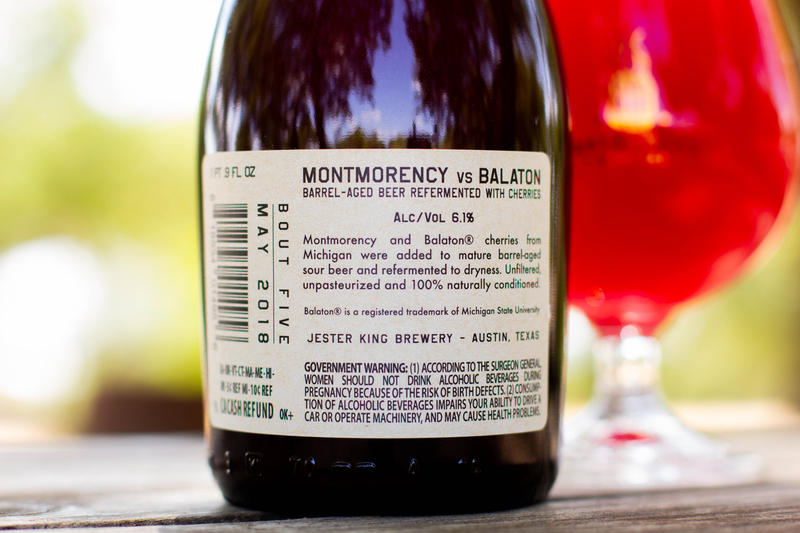 Aside from special events, 2018 Montmorency vs. Balaton will only be available at Jester King.